By combining the characteristics of foam with a state-of-the-art automated 3D CNC foam carving system, Grand 3D takes your signage literally into another dimension. Grand 3D brings increased detail and creativity to your projects. We can scan, model, cut, sculpt, coat and paint your projects, taking them from concept to reality. 3D Scanning, Modeling, and Prototyping brings the power of digital sculpting to the production process. 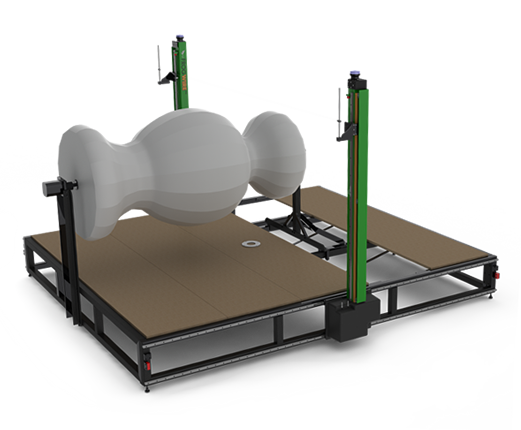 We work with 3D modeling software or create models with our state of the art 3D scanner. 3D Scanning is the perfect way to enlarge projects! CNC Hot Wire Foam Cutting produces stunning final products or prepares foam for a more detailed milling. Top of the line speed, and accuracy and capable of 2D, 3D, flat, spiral, and lathe cuts. Advanced technology allows us to create larger and more intricate pieces than ever before. We turn your ideas into reality without hassles and wasted time. 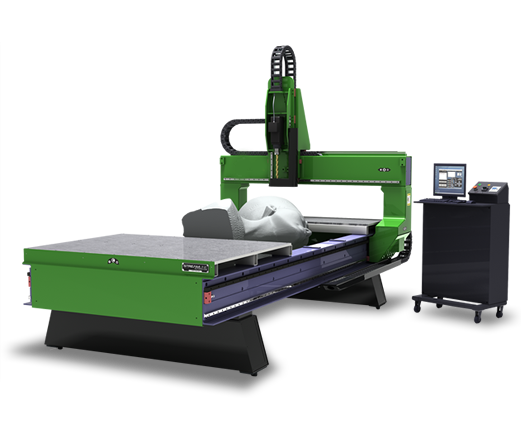 CNC 4-Axis Cutting Router provides capabilities impossible with traditional CNC routers. Top of the line features and industrial strength combined with unequaled quality allows you to create larger pieces than ever before. Create full 3D carvings up to a 4' diameter and 8' in length in a single piece. We challenge your imagination. ​We use a superior spray coating material designed to form an exceptionally durable, protective layer for sculptural and architectural projects. It is recommended for coating projects that require maximum protection, especially those to be installed in harsh outdoor environments. Quick cure times mean that our coating can easily be textured for projects requiring a customized look. We then use a primer to prepare coated foam products for finishing and painting. Just how strong is it? Well, we hit it with a sledgehammer and dropped it off the second floor and couldn't dent it. Watch the video and see for yourself!